’Tis the season to be jolly — by giving your child the gift of prepaid tuition units in the Texas Tuition Promise Fund® (TTPF), the state’s prepaid college tuition plan. With more than 42,000 participants and growing, TTPF marks its 10th year of helping Texas families achieve their children’s college dreams. Participants in TTPF purchase tuition units using one of the plan’s flexible payment options. These tuition units can be used later toward undergraduate resident tuition and school-wide required fees at Texas public colleges and universities. The current open enrollment period began Sept. 1, 2018, and runs through Feb. 28, 2019, allowing families to lock in 2018-19 prices for all or a portion of these costs. Residency requirements apply. 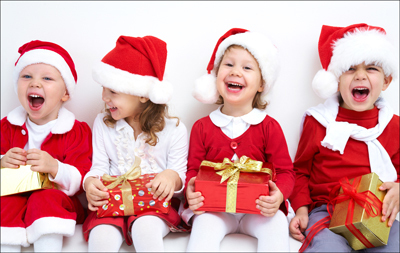 “It can’t be wrapped and put under a tree – but Texas families that decide to enroll and begin saving give their children something that will last beyond this holiday season,” says Comptroller Glenn Hegar. For more information about the prepaid college tuition plan, including how tuition units can be converted to transfer value for use at out-of-state and Texas private colleges and universities and career schools, go to TuitionPromise.org or call 800-445-GRAD (4723), Option 5. The website includes a calculator to estimate how much college might cost under different types of tuition units and payment plans. Purchasers should carefully consider the risks, administrative fees, service and other charges and expenses associated with the contracts, including plan termination and decreased transfer or refund value. The Plan Description and Master Agreement contains this and other information about the plan and may be obtained by visiting the website or calling 800-445-GRAD (4723), Option 5. Purchasers should read these documents carefully before purchasing a contract. Participation in the plan does not guarantee admission to or graduation from any college or university.